Did I ever mention I am pretty much clumsy when it comes to doing anything? Doing dishes? Let’s get a noodle stuck under the fingernail! Visiting my favorite potter? Let’s break a dish or two! Grating cheese on pizza? Oh, why not, let’s grate some skin off the thumb as well! Yap, so that just happened this week. So, I was making pizza on Monday and while grating cheese for Mitja’s pizza, I just had to grate a bit of my skin on it as well! So, while my right index finger (the one with the fingernail injury) is now much improved, I have injured the neighboring thumb and it’s not healing as well as I would like it to. Washing hair, or doing the dishes, or making a salad, everything is a bit of a challenge again. But, as I have plenty of experience with dumb injuries, I will overcome this one as well, won’t I? We’ve been having really cold weather, some snow as well, but the temperatures of several degrees below zero (as low as -11°C / 12.2°F) did nothing for morale. Such temperatures are not really usual for the beginning of December if you ask me. Well, I am being a bit grumpy today, but one is allowed to be, once in a while. Right? So I guess there is nothing better than a bowl of salad greens to put you right back on your feet. 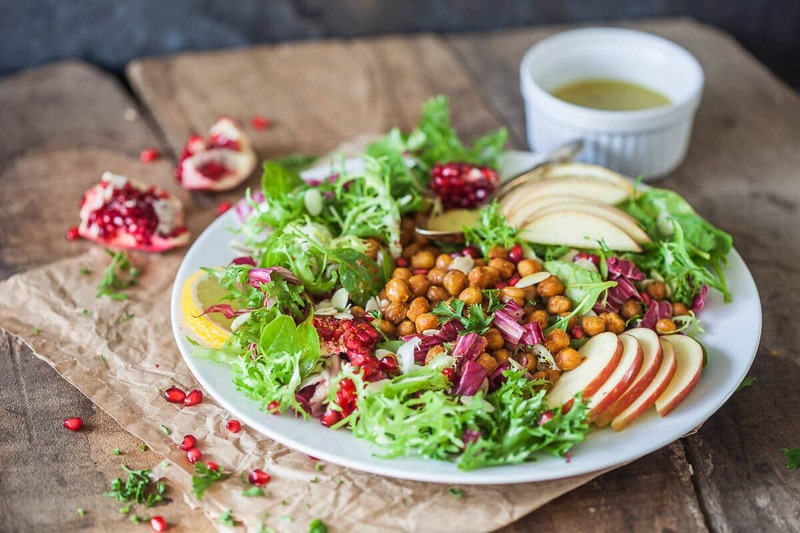 This Fall Abundance Endive Salad is not your ordinary salad, as it combines all the wonderful seasonal greens, like curly endive, radicchio, spinach and mâche, a couple apple slices and all topped with a delicious mustard vinaigrette and crispy roasted chickpeas. Simple and delicious! 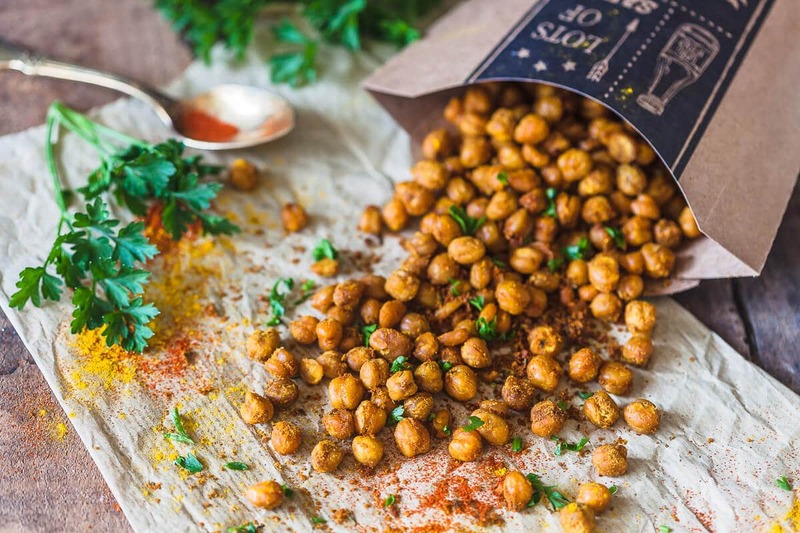 Prepare roasted chickpeas. You can make it ahead of time by this recipe. Prepare salad greens by washing them thoroughly and drain. Chop greens roughly, if needed, then place into a large bowl. 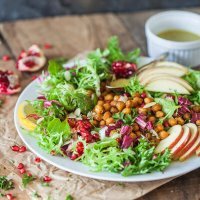 Add apple slices, pomegranate seeds and almonds. 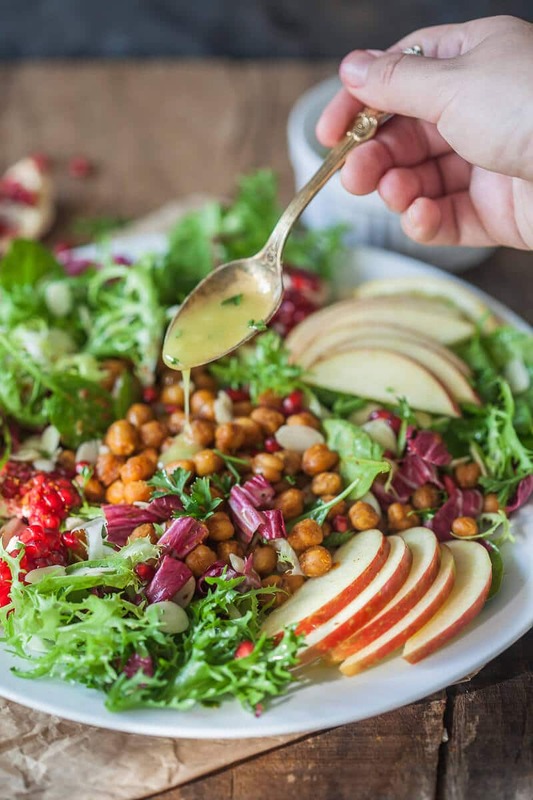 Prepare mustard vinaigrette: in a bowl add mustard, lemon juice and white balsamic vinegar, season with salt and pepper and whisk until combined. While whisking, slowly add olive oil and continue whisking until the mixture emulsifies. Add finely chopped parsley and stir in. 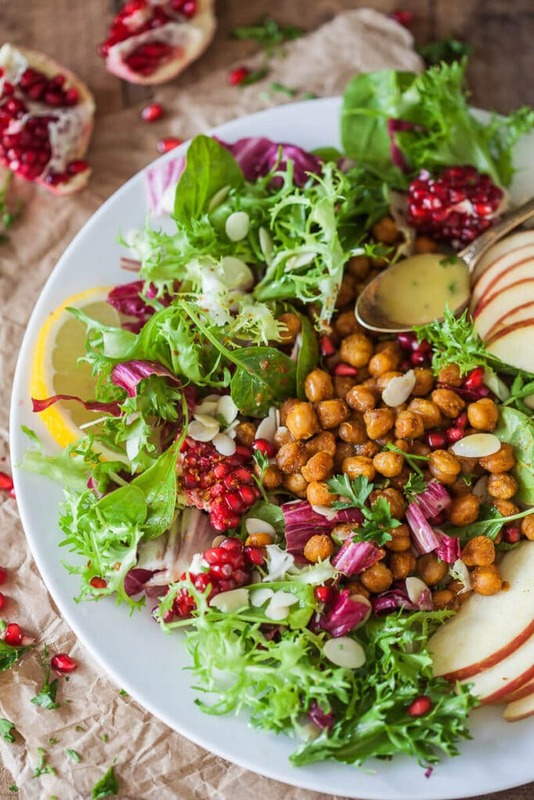 Pour vinaigrette over salad greens and mix well until combined. 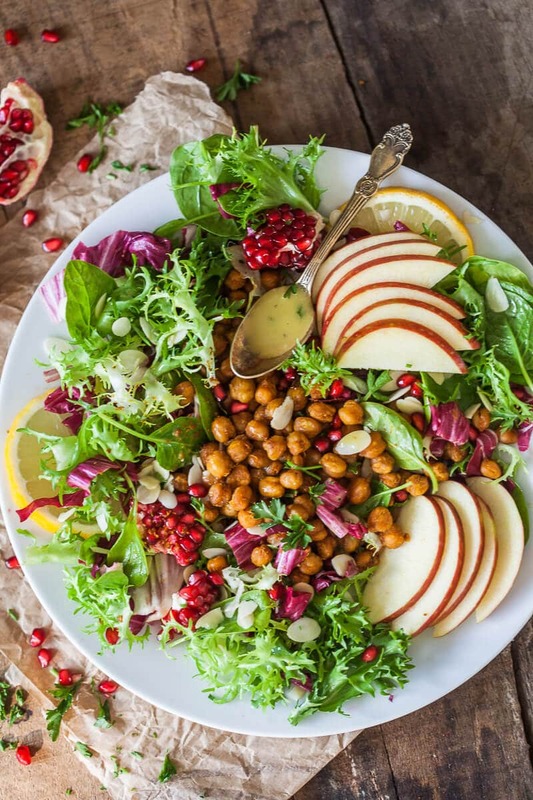 Place salad onto plates and top with crispy chickpeas. Serve.